What’s the population Adelaide is catering for in this regard compared to the population Sydney is catering for? I’d say Adelaide’s would be quite smaller. as someone who doesn’t live in NSW I support this move. 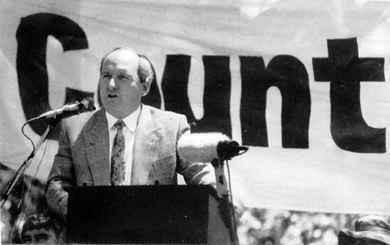 This is the ultimate test of Squires’ stance that whatever pisses off Alan Jones must be good. It is a stance that we simply must admire and adhere to. And in theory, 85K is also too big for ANZ. Put it this way, Wembley seats 90k people, to support a London population of around 8 million. Sydney’s population is under 4.5 million. Using London as an example, Sydney’s main stadium would be sized at about 50k. Sydney’s population grew in the last 7 years from 4 million to 5.5 million. It is projected to hit 7 million by 2030 and 9 million sometime between 2040 and 2050. I think 85K is about right for the national stadium. Given the number of codes/concerts that play on a rectangular field in Sydney, another 45-60K stadium is probably required. I think the two stadium modes was a brilliant idea. its too bad that seems to have evaporated. Too big too small, too many corporate seats, too few, no mahogany panelled cigar room. That argument should have happened 12 months ago. Simple answer is any change, bigger, smaller or even a refurb that meets code is going to add 12-24 months to the current design timetable. This upcoming state election on the 23rd of March is a huge one for Sydney Football Club. If the Liberals win we will have to wait a long couple of years for a stadium rebuild we didn’t even want which we will possibly see our club disappear as western suburbs did. On the other hand, if Labor wins there might possibly be some uncertainty of what will happen with the SFS but it will most likely be refurbished and we will be back home in a much shorter period. There’s already a politics thread and a stadium thread, both of which are doing a much better job of this conversation. Mental is right and the original post is right in saying its a huge election with massive ramifications for SFC. But unless ive miss understood, labor winning the election seems like a bigger nightmare scenario for SFC. There doesnt seem to be any concrete plans to refurbish the stadium, and that doesnt even take into account the delays and time spent in paying out contracts for cancelled works. Local Democracy Matters and Waverley Council launched legal action in an attempt to stop the demolition before the state election. Good news. At least if the demo starts, then even if labour are elected, a new stadium (of any description) will need to be built. Agree with those who have said that any revise to the current design will lead to significant delays. Right now, all I want is a new stadium fit for playing football in and for it to be on-time. Hopefully the two-mode design (the LED curtains) make the smaller games feel more intimate.